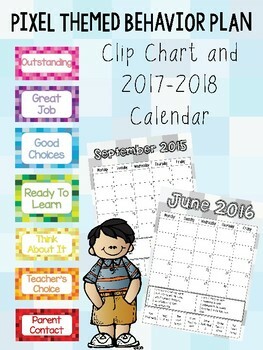 Each student gets a calendar sheet and at the end of each day, they color the square for the day in the color their clip ended on. If the student got a color below the green, the teacher can write one of the 10 pre made numbers for a simple reason why. The back of the paper is a perfect place to write more details if need be. 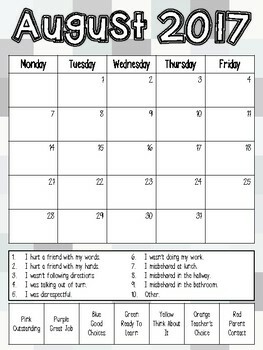 This is a perfect way for students to be accountable for their actions.